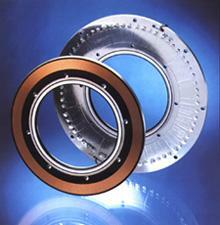 Incremental and absolute rotary transducers in a large selection of sizes, angular pitches, substrate materials. 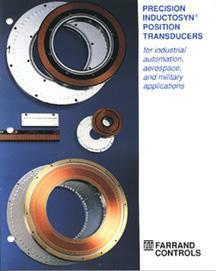 Linear transducers in several forms & a variety of cyclic pitches & substrate materials. Items to simplify integrating Inductosyn transducers into your system, including analog-to-digital converters, preamplifiers, correlation logic assemblies & digital readout assemblies. Aerospace, military, scientific, and industrial automation applications. Mounting requirements, special options, special Inductosyn packaging, etc. 16 page color brochure describing products, operating procedures, and applications of a wide range of Farrand products. Offers virtually every type of Optical Encoder both self-contained and modular. Incremental & Absolute units available in industrial, instrument, high resolution & economy packages. FOCI also repairs and manufactures exact replacements for encoders previously manufactured by Sequential Electronic Systems Inc.
Offers high performance filter fluorometers for a wide range of applications, representing the latest technology for fluorescence detection instruments in a line that has been in development since 1944.